Welcome back to the final part of our series on interviewing techniques. Today we’ll look at handling stress and being prepared. 99% of us at one time or another feel quite stressed in the lead up to an interview, and though in small doses that stress can be quite good. It shows how you handle yourself and how well you do perform when under pressure. However if this stress is crippling and overwhelming it is going to impact on the interview, it might have an impact on how you answer questions, leaving you unable to think clearly. When you are feeling stressed you are more likely to not hear a question properly or answer with a long garbled reply, some of which might have little to do with the question you have been asked. If you are unable to rid yourself of the stress quickly you will *blow* your chances, all the best intentions and plans go right out the window. Stress can leave you unable to think quickly and clearly or recall answers and questions. All your preparation has gone to waste. If you are an anxious person particularly it’s important to learn any stress relieving techniques ahead of time. Sometimes going for a run before an interview or taking some time to out to meditate helps to keep you relaxed and focused. Remember you are well prepared, you have your resume, you have your story in your head, you have questions and answers prepared and you have done your research, take deep breaths and be secure in the knowledge you are well prepared for this, you can do it. There are many different types of interviews – from short conversations of just a few minutes to several formal meetings, often with different interviewers. Remember it’s this interview that gives you the time to make an impression to show and to prove that you are the right candidate for the job. The better prepared you are you will be far more comfortable and relaxed when you are asked questions. Research – Have all the information of the position and the company together and try and relate any of your experience and past work to the duties this job entails. Practice – ask friends or family to go over questions with you and practice your answers – remember to make eye contact. Try not to rely on filler words such as *Um*, *Uh* and *like*. 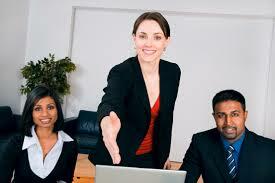 Stand straight and feel confident, smile and talk to the interviewer directly. Know where you are going – be ready, have all your clothes laid out the night before, have your resume prepared, know where you are going, how to get there, what bus or train to catch and aim to be early, even if you have to wait outside or go and get a coffee nearby. Don’t forget to let your references know about your upcoming interview. Let them know when and where so they can be prepared for any follow-up phone calls. The last thing you need is for them to be confused or forget who you are. By accident they might give you a bad reference so why take any chances. Ringing them to tell them of your interview will remind them who you are and they will be pleased you’ve taken time to let them know, it acknowledges you are appreciative of their time. What tricks do you use to handle stress? Do you get nervous or stressed easily? Has stress impacted on an interview and how did you handle it? If you have any suggestions or tips, we’d love to hear from you.